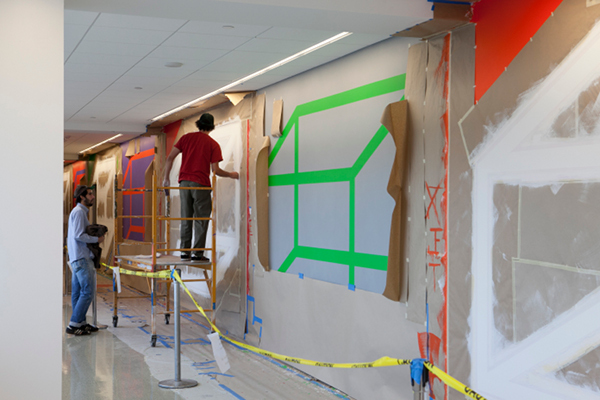 A new installation of work by transformative modern artist Sol LeWitt demonstrates the vision of Einstein Medical Center Montgomery, where architecture, design and efficiency work together with staff excellence and medical innovation to deliver an unparalleled patient experience. 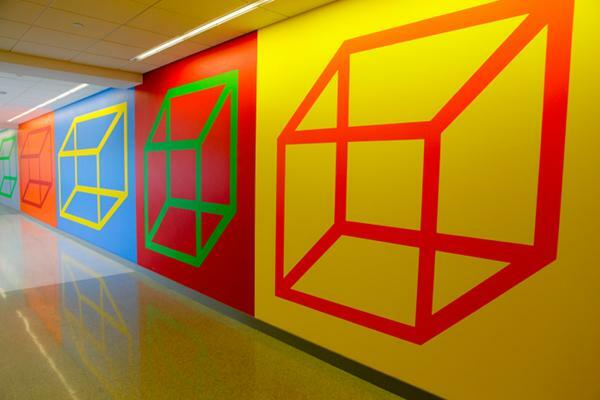 The bright colors and unpacked cubes of LeWitt’s Wall Drawing #972 will grace the first floor corridor of the medical center for 25 years through a generous loan from the artist’s estate, serving as a feast for the eyes for staff, patients and visitors and providing a rare opportunity for the public to access this important work of art. 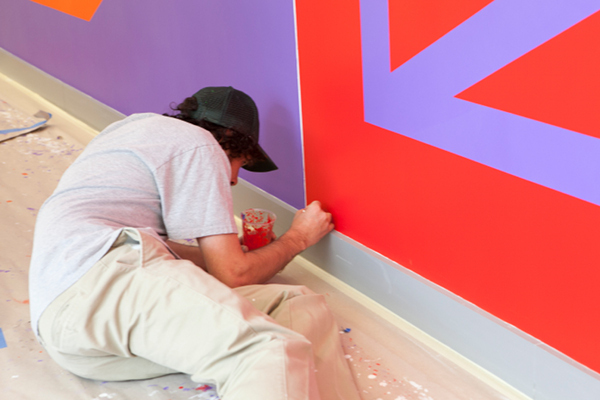 The installation enriches Einstein Montgomery’s brand-new, state-of-the-art medical facility — one whose patient-focused aesthetic sensibility mirrors its holistic, community-focused approach to healthcare. Opened this fall on Sept. 29, Einstein Montgomery (559 W. Germantown Pike, East Norriton, PA) is the first completely new medical center to be built in the Southeastern Pennsylvania region in more than a decade. 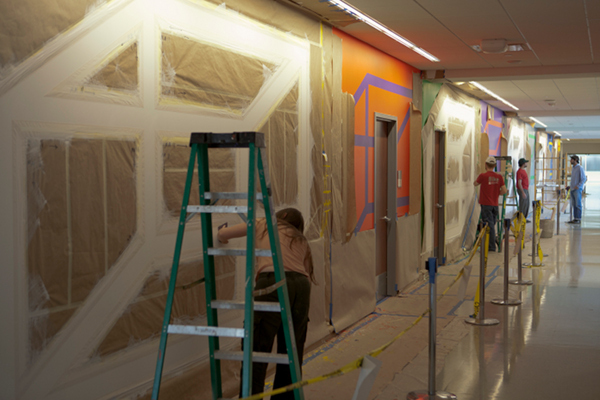 The 146-bed facility was designed to include every possible element of holistic healing, from natural light pouring through soaring atrium windows and in patient rooms to carefully selected high-quality works of art intended to soothe and inspire. 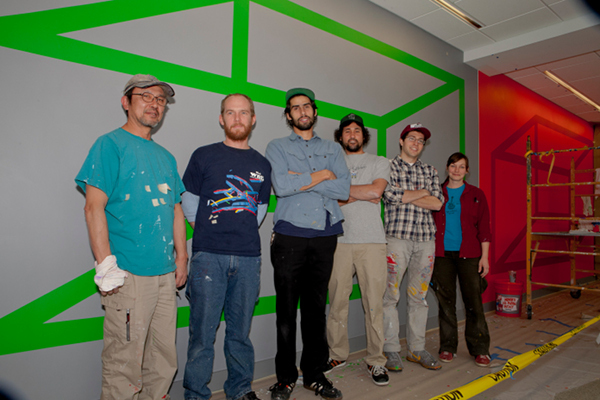 Read the full press release announcing the LeWitt installation. Einstein Medical Center Montgomery is a full-service, acute-care hospital, opened September of 2012. Located on 87 acres of a former golf course, the Medical Center has 96 medical/surgical beds, a 22-bed intensive care unit, a 20-bed obstetrical unit and an eight-bed neonatal intensive care unit. It features a two-story medical arts building connected to the main medical center.Designed with the patient’s needs in mind, it provides an ideal environment for healing and an exceptional patient experience. The site design of Einstein Medical Center Montgomery includes open green space and walking trails open to the public. 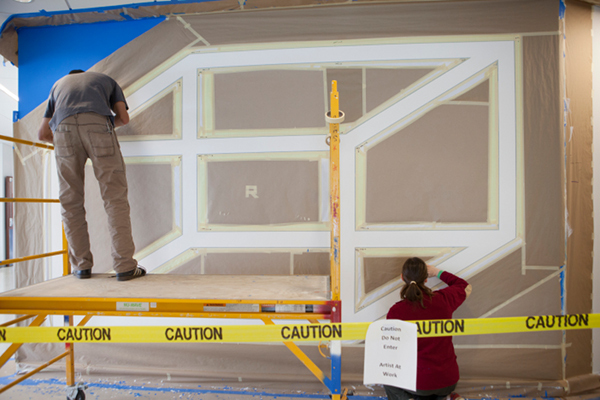 As a LEED certified structure (Leadership in Energy and Environmental Design), Einstein Montgomery meets specifications for energy savings, water efficiency, improved indoor environment and other conditions. Einstein Healthcare Network’s major expansion into Montgomery County is in keeping with its mission to provide excellent healthcare to everyone who needs it. More than 60 percent of the population in the immediate area of the new hospital has had to travel up to 30 miles to receive the full complement of health care services, which now will be available in their neighborhood. The expansion broadens the scope of Einstein’s healthcare services, while Einstein maintains its commitment to the network as a whole, including Einstein Medical Center Philadelphia. Einstein Healthcare Network is a 1,203-bed integrated delivery network with more than 8,500 employees serving the communities of Philadelphia and Montgomery County, Pa. 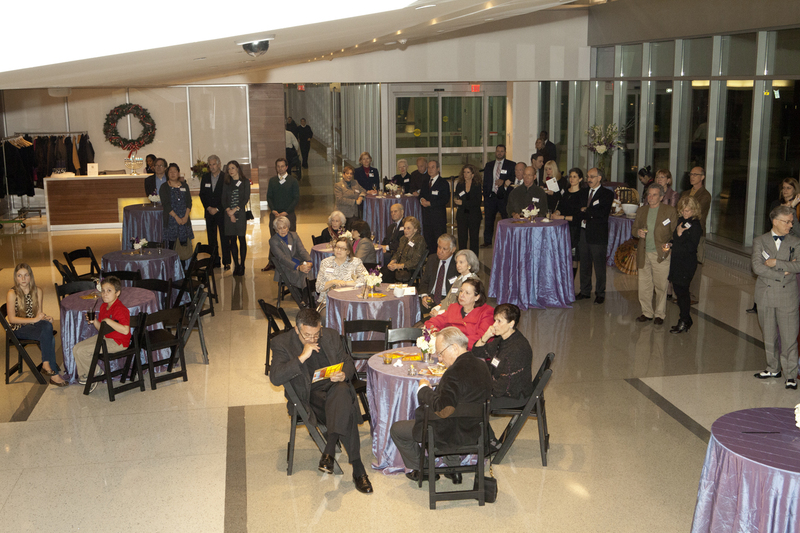 The network’s primary location, Einstein Medical Center Philadelphia, is one of the largest academic medical centers in the Delaware Valley, providing training and education for more than 400 residents and fellows each year. The network also provides a comprehensive range of healthcare services through the brand new Einstein Medical Center Montgomery, Einstein Medical Center Elkins Park, MossRehab, Belmont Behavioral Health, Willowcrest, outpatient facilities such as Einstein at Germantown and Einstein Center One, and a network of more than 500 primary care physicians and specialists employed through Einstein Physicians and Fornance Physician Services, Inc. For more information, visit www.einstein.edu or call 1-800-EINSTEIN. Wednesday, December 12, 6:30–8:30 p.m. 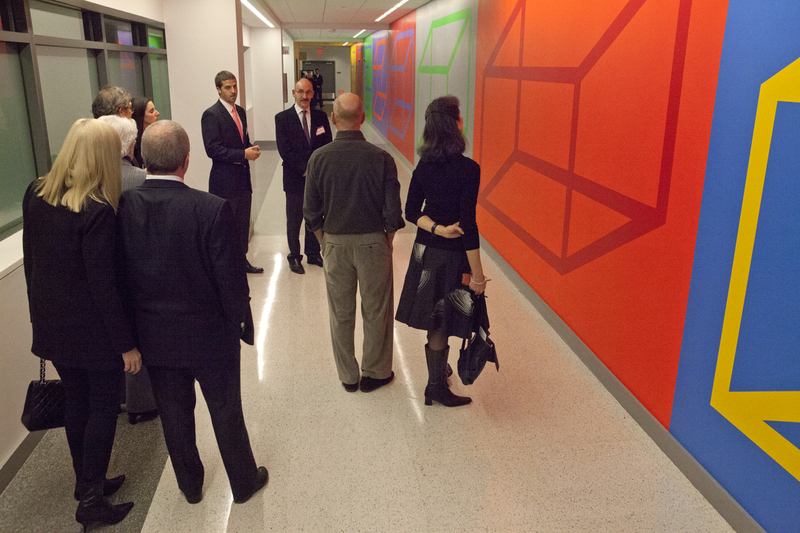 Guests view Sol LeWitt Wall Drawing 972 at Einstein Medical Center Montgomery_December 12 2012. 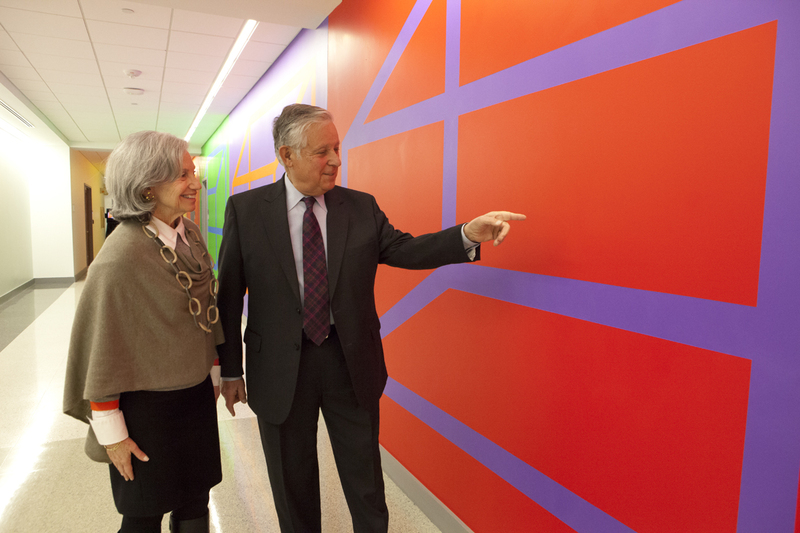 Horace and Carol Barsh view Sol LeWitt Wall Drawing 972 at Einstein Medical Center Montgomery_December 12 2012. 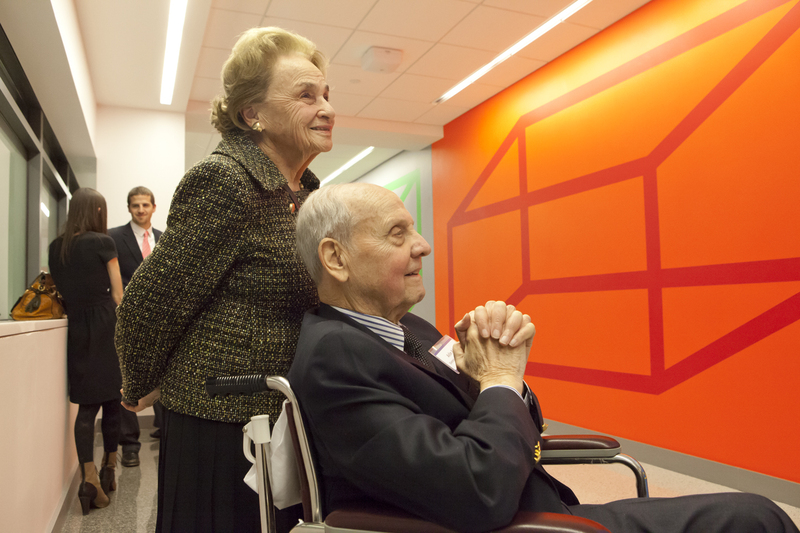 Einstein Healthcare Network CEO Barry R. Freedman introduces Sol LeWitt Wall Drawing 972 at Einstein Medical Center Montgomery_December 12 2012. Arlin and Neysa Adams view Sol LeWitt Wall Drawing 972 at Einstein Medical Center Montgomery_December 12 2012. 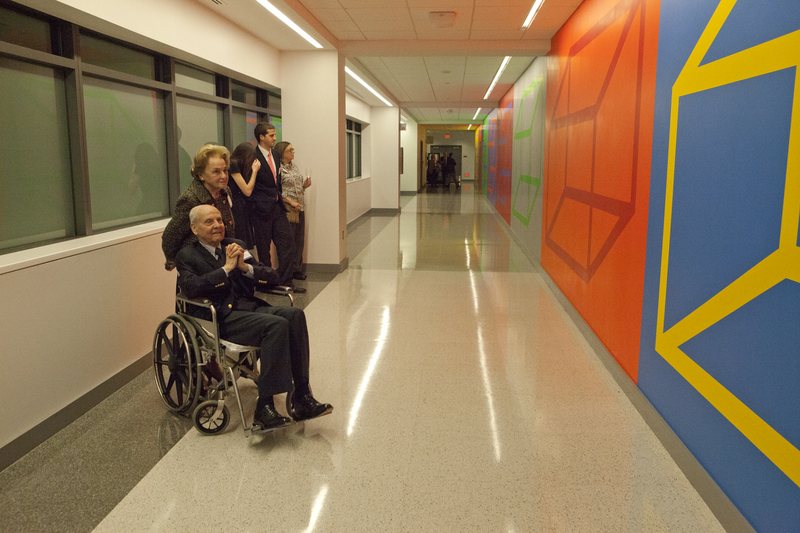 Reception for Sol LeWitt Wall Drawing 972 at Einstein Medical Center Montgomery. 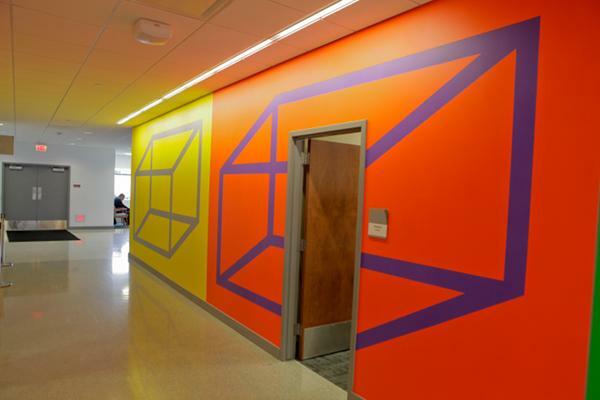 Neysa and Arlin Adams view Sol LeWitt Wall Drawing 972 at Einstein Medical Center Montgomery_December 12 2012. Carise Mitch and Megan Wendell (Canary Promotion) and Christopher Sharrock (University of the Arts) at reception for Sol LeWitt Wall Drawing 972 at Einstein Medical Center Montgomery_December 12 2012.